Shaun Wane does not expect to bring in any more reinforcements before the signing deadline this Friday. Wigan last week swooped to add Swinton centre Chris Hankinson to their squad and, a month ago, brought in Joe Greenwood from Gold Coast Titans. Wane all-but ruled out bringing in any more players and said he is content with the strength of his squad, particularly once he gets some of his injured players such as George Williams and Sean O’Loughlin back on board. “I don’t think there’ll be any more,” he said. “I’m happy with the squad we’ve got. He was planning to run the rule over all three this morning, with Williams (knee) expected back first – possibly as soon as Friday’s visit of Catalans. 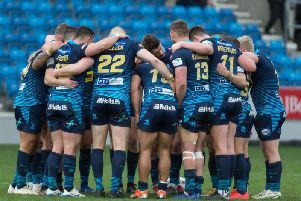 Oliver Gildart is also sidelined with a broken thumb and Wane has French livewire Morgan Escare – dropped for last week’s derby loss – and a clutch of youngsters vying for spots. Wane was pleased with the debut of Hankinson and expects him to get even better once he builds up relationships with the players around him. “I thought Chris was very good,” said Wane. “It was one of the best debuts I’ve seen in a while. Clubs have until Friday to sign players for the rest of the season, ahead of the split for the Super-8s. Salford and Hull KR are looking for reinforcements ahead of their Qualifiers campaigns as they look to secure their top-flight positions.